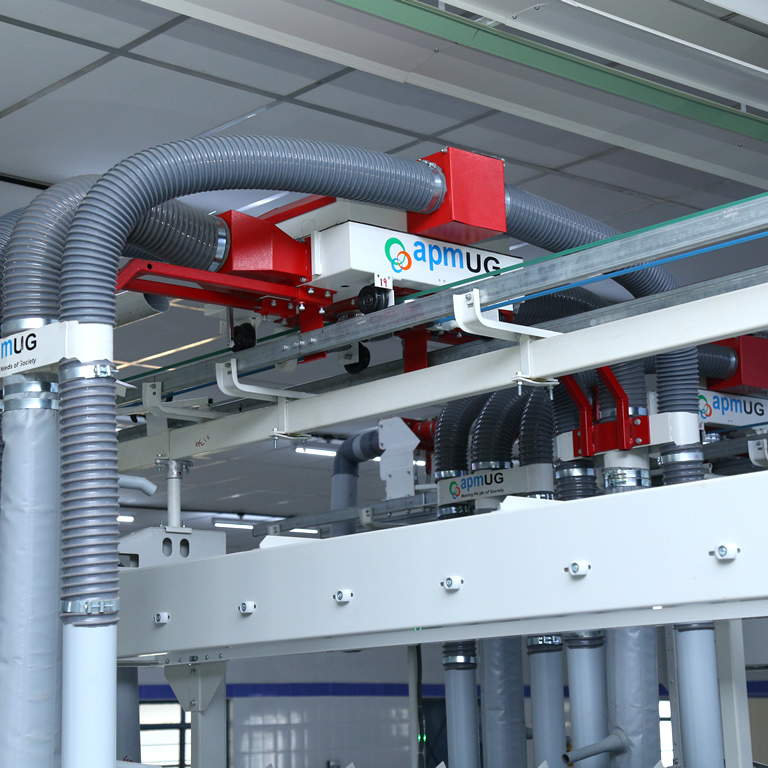 The link Spinning Frames can be covered by one OHTC equipped with two blowing pipes , one on each side suitable for cleaning both machines. OHTC is provided with 4 suction pipes on two sides ofeach machine consisting an upper part in flexible material and a lower part with a shock proof PVC. Kleen TEX B with the latest technology is suitable for Bobbin Transport system to cover speed Frame and Ring Frame with auto duffing. For speed frames guarantee a high degreee of cleanliness by providing continuous blowing and suction to the drafting system to other critical areas. Aero dynamic design with uniform air flow. Automatic/Manual Waste Collection system, Link Coner arrangement .Rocos Suction Arrangement.